first of all i would like to congratulate you for your work. 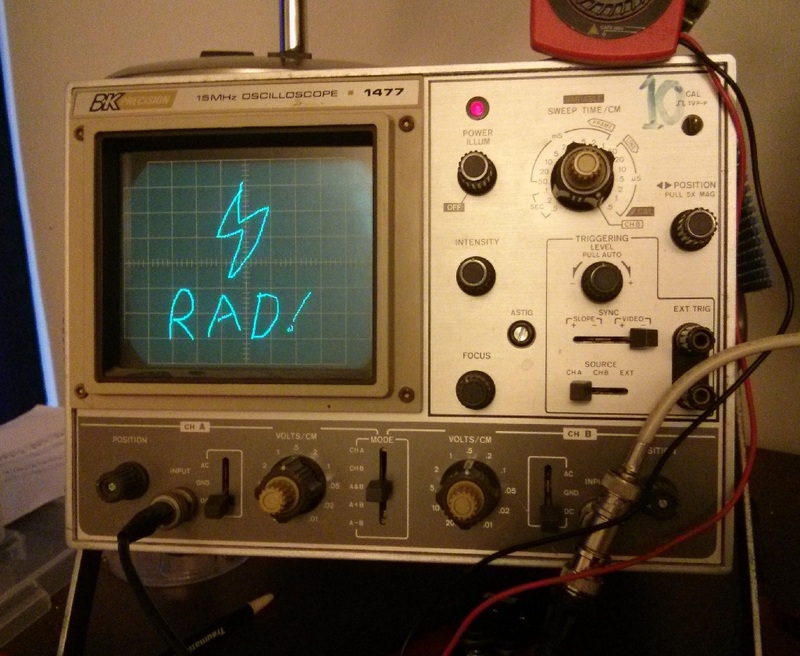 I am very interested to learn how to ”draw anything on an oscilloscope”. 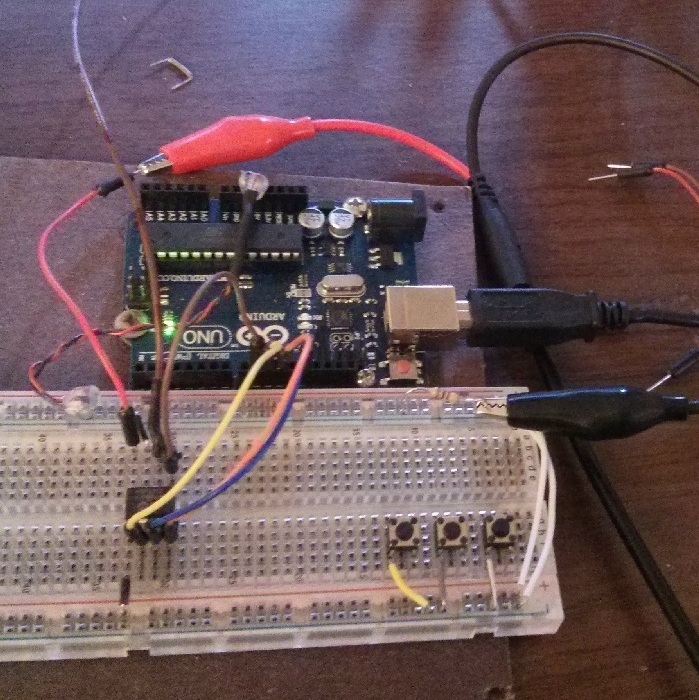 I am not familiar with Arduino and so i have not quite understood what you did. Would you be able to explain your setup in more detail please? – starting by a simple block diagram maybe! Do you think you can achieve non-traditional shapes on the oscilloscope by the use of discrete electronics rather than a programmable microcontroller kit? Basically, in XY mode, two analog voltages tells the oscilloscope what X and Y offset to light up. If you trace a curve in XY coordinates, it can form the shape of your choosing. To set these analog voltages, I used an digital-to-analog (DAC) converter (the MCP4802 IC). The connectivity is actually straightforward. The way I hook up the MCP4802 is in the Kerry Wong blog I linked, and the only other connection is from the outputs of that IC to the X and Y inputs of the oscilloscope. It shows an “octopus circuit”, which is a fancy name for a circuit that uses an oscilloscope to draw voltage/current curves. In a setup like this, a capacitor makes a circular or oval shape. 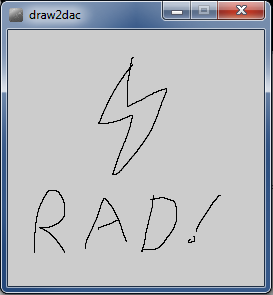 That said, it’s not clear to me how you’d use this technique to get arbitrary shapes…that’s why I used the microcontroller approach. Getting crazy arbitrary shapes out of an oscilloscope using discrete components is not something I’m familiar with.